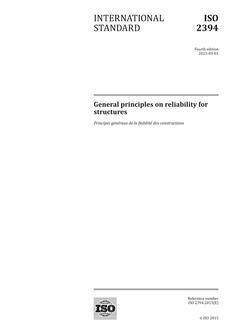 BS EN 1991-1-5: 2003 gives principles and rules for calculating thermal actions on buildings, bridges and other structures including their structural elements. Principles needed for cladding and other appendages of buildings are also provided. BS EN 1991-1-5: 2003 describes the changes in the temperature of structural elements. Characteristic values of thermal actions are presented for use in the design of structures which are exposed to daily and seasonal climatic changes. Structures not so exposed may not need to be considered for thermal actions. Structures in which thermal actions are mainly a function of their use (e.g. cooling towers, silos, tanks, warm and cold storage facilities, hot and cold services etc) are treated in Section 7. Chimneys are treated in EN 13084-1.